SNAP INTO A BEAUTIFUL SMILE! 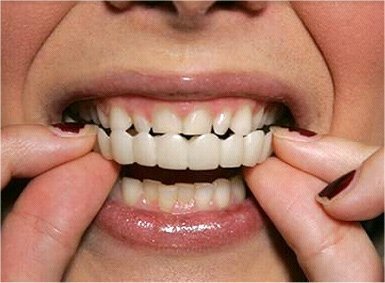 Are you unhappy with your smile due to discoloration, gaps, oddly shaped or even missing teeth? 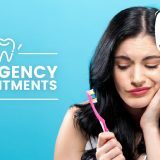 Not in a position to invest money and time in veneers or other treatments? Snap-on Smile may be for you! This innovative system of snap-on teeth is a quick, convenient, and affordable way to get the smile you’ve always wanted. Just snap your teeth into place and you’re ready to go! If this sounds like the solution you’ve been looking for, we’re ready to see you. 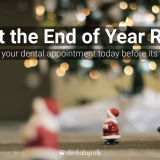 Book a consultation with at Dentalopolis today! Snap-On Smile is just what it sounds like: teeth that snap right into place to give you a beautiful smile. The teeth are digitally designed and hand-finished to perfectly fit with your other teeth. You just snap in one piece and voila — new smile! It couldn’t be easier. 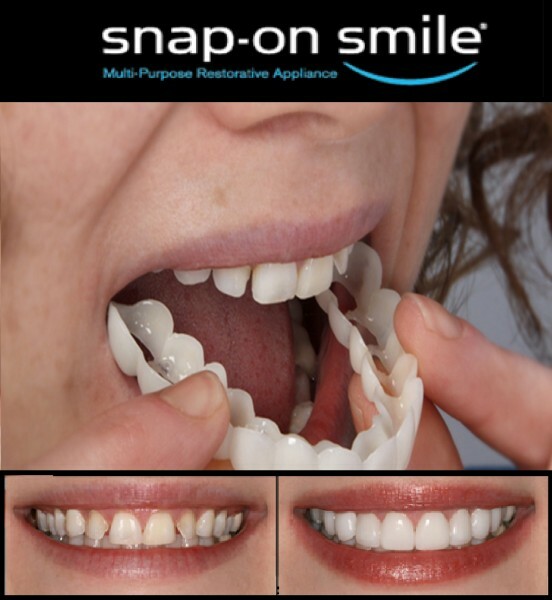 Appropriate for short-term or permanent use, Snap-On Smile is a simple, affordable solution to a number of aesthetic issues. Plus, it’s safe and effective for patients of all ages. WHAT PROBLEMS CAN SNAP-ON TEETH ADDRESS? Snap-On Smile was developed with simplicity and affordability in mind. It can address a number of cosmetic problems, as well as other concerns patients may have. The whole process can be done in as little as two short visits! We’ll take an impression and photos of your teeth. This will allow us to precisely map the shape and position of your teeth so that your snap-on teeth can be made accordingly. Your snap-on teeth will be custom-made. We’ll send the records to a lab where your snap-on teeth will be made using a state-of-the-art digital manufacturing process. We’ll place and fine-tune your new teeth. your Dentist will place your new snap-on teeth and make any necessary adjustments to ensure a comfortable, beautiful fit. Your treatment comes with Snap-On Smile’s Complete Care Kit so that you can keep your new smile bright and healthy! Ready to snap into a beautiful new smile? Contact Dentalopolis today to see if this simple, affordable treatment is right for you. Get in touch today — we can’t wait to show you how the Dentalopolis Difference is changing dentistry for good!